We are lucky to live in a city where fantastic local produce is readily available, and game is no exception. Game season is well under way with venison in stores since September and grouse, pigeon and pheasant available from next week. People can often be intimidated by game. But it can be treated like any other meat. You can roast, pan-fry or braise it, just watch out for the shot! With such an abundance of options on our doorstep it would be a shame not to avail of this great resource. Dublin.ie visited some of the best places to buy game in Dublin to see what’s on offer, so that come next week you will be well equipped to cook a hearty, seasonal and local meal. 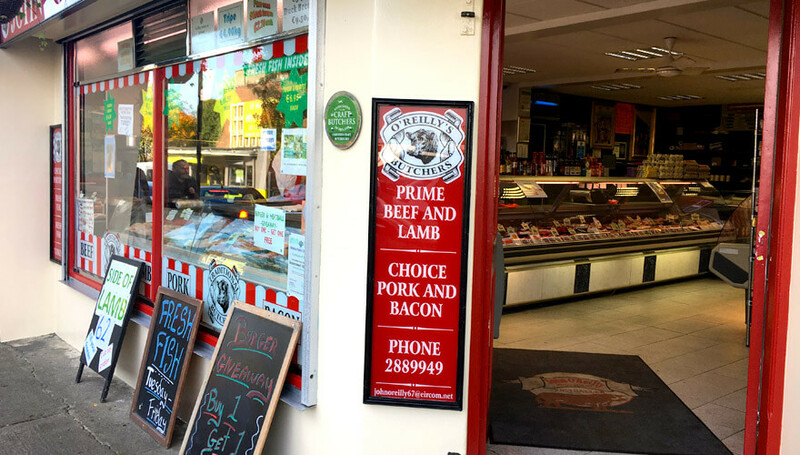 A firm fixture in The Bridgestone Irish Food Guide, Lawlor’s Butchers in Rathmines has long been a must-visit shop for meat-lovers in general. They have been supplying game for around 15 years but have seen a huge increase in interest in recent years, especially in venison. They don’t only sell joints and steaks. They also make their own venison sausages and burgers. This week will see the arrival of this year’s first mallards, then pheasant and grouse will follow. Come Christmas time butcher, Derek Dodrill says they will be “out the door” with demand for woodpigeon and partridge. 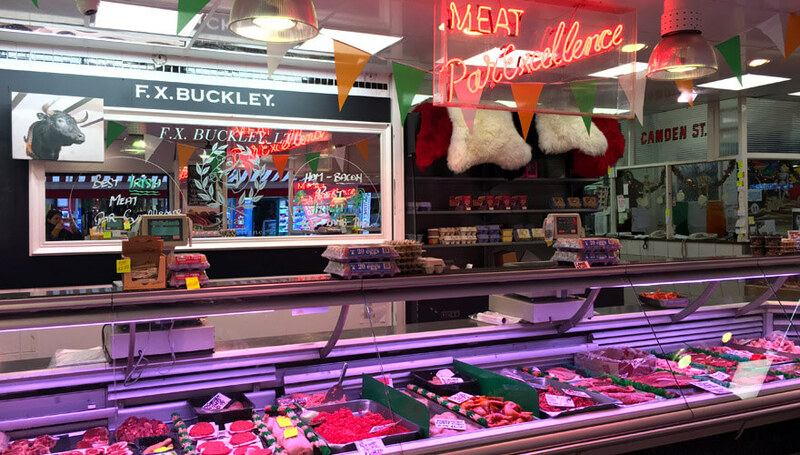 John O’Reilly Butchers has been a fixture on Deerpark Road, Stillorgan for over 50 years. Originally run by Eugene Doyle, he passed the shop onto John O Reilly, whose name is now above the door. Today, John’s son David also works in the business. 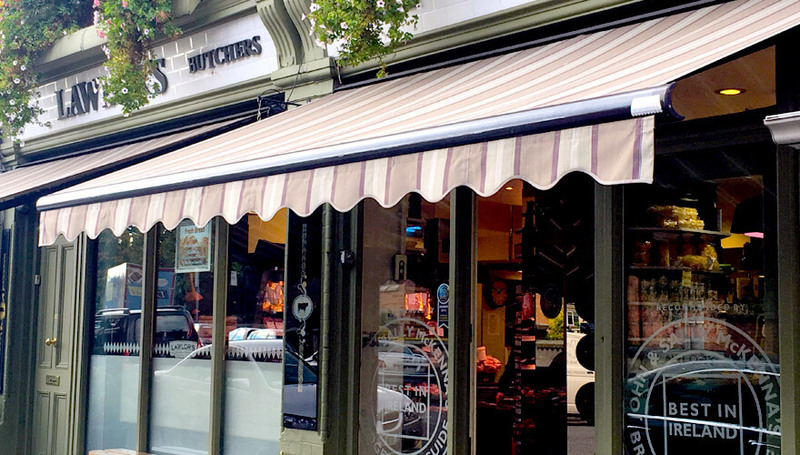 A traditional butcher’s, they buy full sides of beef and lamb and break it down themselves, ensuring high standards. For over ten years O’ Reilly’s have offered a wide selection of game. They stock pheasant when in season (it proves especially popular around Christmas) and can order any other game you might like into the shop for you. David O’Reilly’s favourite game dish to cook is pheasant “it’s easy to cook and not too fancy”. FX Buckley on Moore Street is a Dublin institution. Started in the 1900s by Francis Xavier Buckley their motto is ‘Meat Par Excellence’ and they have lived up to it every day. FX Buckley have been supplying game for 25 years but have seen a big increase in sales in the past 12-15 years. They have seen the demand grow with the diversity of the city’s population. They supply venison, pheasant, grouse, wild-rabbit, mallard and pigeon. With so much variety you will be spoiled for choice, but their friendly staff are on hand to help. Butcher, John Collins swears by a “shoulder of venison, slow-cooked in a casserole in the oven”. This writer took John’s suggestion and made a hearty venison casserole last night. It was delicious and the meat deserves more credit than my cooking. So whether it’s a dinner party showstopper or a humble stew, try some Irish game this season. I remember seeing the DART for the first time. I was 7 years old. It was 1984. I thought it was some impossible machine out of a science fiction movie. At that time, I lived with my family in the remote wilds of Blanchardstown, West Dublin, and as such, the DART wasn't likely to be a part of my daily life. But the very next year, we moved to Donaghmede. Howth Junction Station lay just around the corner from our house. And, from that moment on, if we were availing of public transport, we were hopping on the DART. For the first in our Dublin Photo Diary series, we asked photographer Shay Hunston to talk about his People Of Temple Bar project. We’ve featured eight portraits in Part 1 with the remaining eight to be featured next week: Earlier this year, I began a project to photograph and document, street by street, the independent retailers in Temple Bar, one of the oldest parts of Dublin. As each street was completed an exhibition of the photographs was staged in the shop windows.